Summer leaves a lot of time for TV shows, because let's just be honest, there's no better time to marathon your favorite shows. I thought that I would write about some of the shows that I've been enjoying during this summer or just in general, because I'm always looking for new shows to watch and thought that you might be looking for some as well. 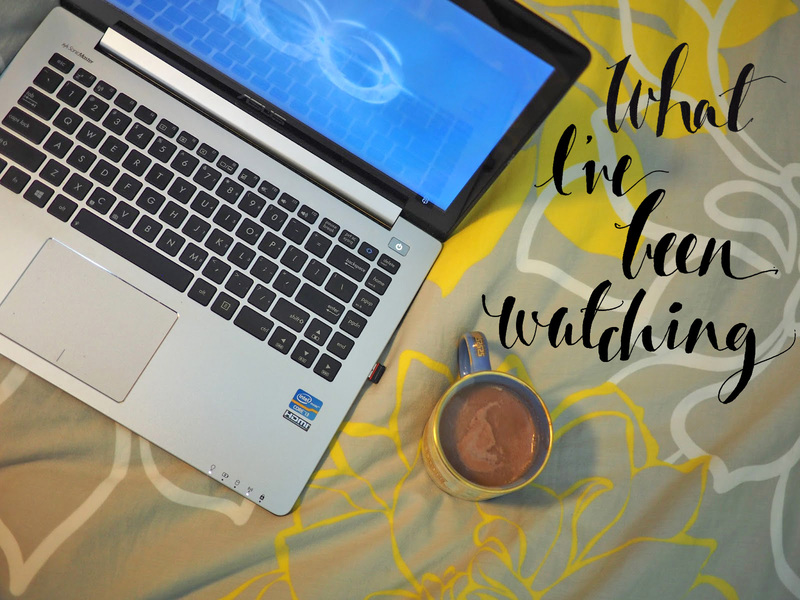 A lot of these shows have a lot of drama, because I really love dramatic TV shows, so if you're looking for some dramatic shows to watch, you should definitely check out some of these. About: The Arrow follows the life of billionaire Oliver Queen, who was stranded on an island for five years following a shipwreck. When Oliver returns to his hometown, Starling City, after living through all kinds of horror, he is a changed man. He vows to protect the city by taking on another persona, the Arrow, by fighting crime. There are constantly new villans appearing in Starling City and the show follows the story of his life during the five years he was away, as well as the present and his adventures in crime fighting. Personal Comments: I really love the way that the show captures the modern day life of Oliver, but also his past and it explains how he came to be the Arrow along with his current vendetta. In this way, I feel like I can really get a sense of his motivation and also see how the past can relate to the present. I'm not really a big fan of superheroes, but I feel Oliver is not exactly a superhero, but he's kind of in the middle. I also feel that the show does a great job of capturing his motivation that superhero movies just don't do. About: Revenge follows the story of Emily Thorne, who returns to the Hamptons with a hidden vendetta. She has come back to avenge her father's death, who was convicted of a crime that he did not commit. Emily Thorne's true identity is Amanda Clark, daughter of David Clarke, who was framed for treason. Her goal is to destroy those who wronged her father, specifically the Grayson family, who orchestrated the plan to frame him. Personal Comments: I was absolutely hooked on this show! There's lots of drama and plot twists on this show that always keep you on your toes. Emily's plan is constantly changing due to the suspicions of other characters or barriers and it keeps you captivated. About: If I have to explain the plot of Gossip Girl, then I honestly don't know where you've been. Gossip Girl centers around this group of teenagers on the Upper East Side. These teenagers go through all kinds of scandals and romance that are all documented by Gossip Girl, who is an anonymous blogger that posts about their lives. There's a ton of drama and not to mention, some pretty cute outfits. Personal Comments: Gossip Girl always has so much drama and lots of cliffhangers, which always left me rushing to click the next episode. I am definitely loving all of the outfits on the show, which I guess is an added bonus, but I'm really in love with the personalities of the characters on the show. You really fall in love with the characters (well, some of them) and it's always fun to guess who Gossip Girl is. While I was watching, I wasn't really thinking much about who Gossip Girl was, I was more into all of the scandals and romance. About: The 100 is set in a futuristic world following a nuclear explosion causing the earth to destroyed and become inhabitable. The only survivors were residents of space stations that later joined together to create what is known as the Ark, basically a big space station. The Ark is beginning to run out of oxygen and the human race is at risk of going extinct if they cannot find an alternative way to live. In a desperate attempt to save everyone, they send 100 prisoners to earth to see if it is habitable. The series follows the lives of the 100 as they discover the secrets of the earth as well as the lives of those back on the Ark, desperately searching for a way keep mankind alive. Personal Comments: This is such a great idea for a storyline and I find that this series is so interesting to watch, because I really enjoy plots set in futuristic worlds and it has a lot of action and some suspense. About: Scandal is about a woman named Olivia Pope, who has a crisis management firm and essentially fixes scandals. Olivia and her team call themselves, "gladiators in suits," as they secretly work to cover scandals for the some of the biggest names in Washington, ranging from senators to secret agencies to even the president of the United States. Although the team works to fix people's lives, the series reveals that the team themselves also need to fix their own lives. Personal Comments: Personally, I felt that the first season was my least favorite season, mostly because I wasn't that interested in the conflicts that they were fixing. I liked the next seasons more, because they were more of "life or death" conflicts, which I know that I probably shouldn't enjoy, but it just adds a lot more tension and suspense that way. About: The Tomorrow People is about a new species that has evolved from mankind that is essentially superior, having the powers of teleportation, telekinesis, and telepathy. This species is being hunted by an organization by the name of Ultra, that works to neutralize or kill the Tomorrow People in order to prevent dominance of this kind over the human race. The Tomorrow People are searching for a safe place, and the main character, Stephen Jameson, plays an active role in trying to protect this species, as his father was the most powerful of the Tomorrow People. Throughout the series, Stephen works as a double agent, helping the Tomorrow People, but also working for the head of Ultra, who just so happens to be his uncle. Unfortunately, the Tomorrow People was cancelled. Personal Comments: This show reminded me a lot of the movie, GATTACA, which I absolutely loved. The two are similar in ways that it has to do with the superiority of some over others and the upper hand that some are dealt with, all based on genetic structure. The Tomorrow People is definitely pretty different though, now that I think about it. The Tomorrow People is kind of like a combination of superheroes and science fiction. About: Queen Mary of Scotland has always been on the run from England, since they want her crown. In order to protect herself, she plans to forge an alliance with France by marrying the king's son, Prince Francis. Although the alliance is meant to protect her, she is always finding people looking to have her dead. The show is full of drama and romance, and even some suspense, as there is some violence in the woods and a creature that preys on citizens. The show follows the life of Mary and French Court as there are plot twists at every turn. Personal Comments: This show reminds me a bit of Downton Abbey, which I do enjoy but haven't had a chance to watch lately, because it's not available to me via Netflix. This show is a less realistic than Downton Abbey, which is based more on creating a accurate portrayal of the time period. Reign is not as historically accurate and the setting and plot is a bit more fiction because of the prophecies and the creature in the woods. p.s. I'm trying to start using my twitter more often, so I would love if you followed me! My twitter is linked here. Thanks, loves!